Although I use predominately modern, western techniques when addressing pain and injury some eastern techniques can be very useful in addressing specific conditions. Eastern techniques from China (tui-na), Japan (shiatsu), India and Thailand can prove very effective in treating pain when a western approach does not get the desired results. 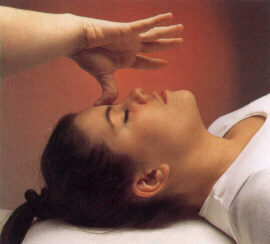 Eastern techniques are also particularly helpful in treating systemic conditions (body system problems), mild depression, chronic illness, headaches, joint problems, auto-immune conditions, sinus problems, emotional problems and poorly functioning organs.